Diallo Brooks, People For’s senior director of outreach and partner engagement, brings 20 years of experience as a leader in the fight for social justice and civil rights while working with national and state leaders to advance progressive policies that support and enhance everyone’s ability to live the American dream. In his current position, Brooks serves as a national spokesperson on issues including civil rights, voting rights, and civic engagement. He works to engage progressive partners and allies around People For’s social justice mission and works with the People For Foundation programs to ensure civic engagement leads to a broader and more inclusive democracy. Brooks also coordinates People For’s fight against the corporate-right agenda of the American Legislative Exchange Council (ALEC), including work to protect public education, protect voting right and expose right-wing attempts to criminalize communities of color. Brooks previously served as People For’s field director, where he was responsible for activating People For’s networks around campaigns and strategic initiatives to advance progressive goals. Prior to joining People For, Brooks was the director of legislator relations for the Center for Policy Alternatives where he worked to train and provide policy support to progressive state legislators around the country. 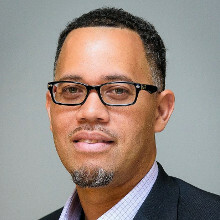 Brooks is a member of the board of directors for the Network For Public Education Action and the National Coalition on Black Civic Participation. Brooks has provided trainings for numerous nonprofits, local, state and federal elected officials and other institutions to uplift progressive values through leadership and policy enhancement.